Welcome to Reservoir Career Women! 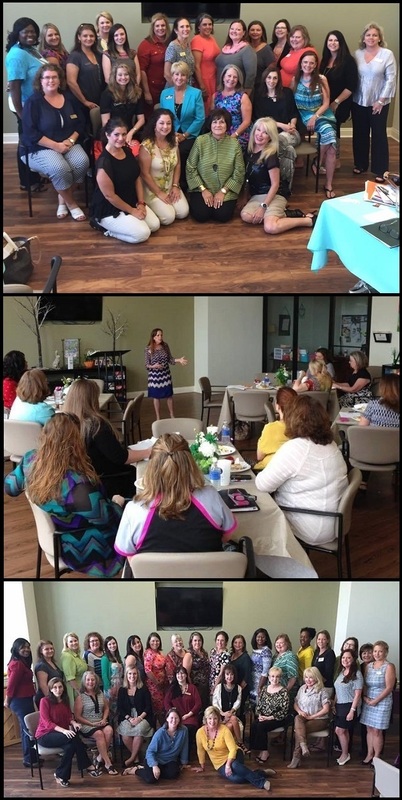 Reservoir Career Women is a professional women's networking group for ladies in Rankin County and the surrounding Jackson-metro area that want to help build their business - all while building equally supportive relationships. From realtors and travel agents to bankers and physical therapists (not to mention a few ladies that work in the construction industry thrown in for good measure), we are a growing group that offers fun female fellowship in a positive and encouraging environment. But it's not just all about currently employed women! Maybe you are in-between jobs right now, looking for your next career? We can help there, too. Bring a few resumes to our next meeting - you never know who could be in attendance that might be hiring; job recruiters often take part in our meetings. Job seekers can also email a resume to include on our weekly email blast and get it sent to everyone on our mailing list. Want to sign up for our weekly email blast? Send your contact info to us via our Contact form, then start looking for our emails to roll out each Friday. They include all kinds of information: news about upcoming events, details and register info for upcoming meetings, and sometimes a retail deal or two from some of our members! As mentioned above, we meet on the third Wednesday of each month, between 11:30 am and 1 pm at The Blake at Flowood, Flowood's premier senior community. Admission is $10, which covers a delicious lunch, complete with dessert! You can always stay up-to-date with our meetings and speakers by visiting our Calendar page. Each meeting introduces two speakers: a member spotlight speaker, and the main meeting speaker - two chances for you to promote your business to a dynamic audience - and you might even win a door prize! Call Alahna at 601-331-4045 or Mindi at 609-206-2168 to request to be a speaker, or email us directly at info@rezcareerwomen.com. Thank you for stopping by, and we hope to see you soon! Do you know who else likes to network? All of our local Chambers of Commerce! We frequently have ladies from our local Chambers attend, and when you become a member with them, they work tirelessly to promote your brand and bring you business. Click on the image of each Chamber of Commerce below to be directed to their specific site, and let them know Reservoir Career Women sent you! We're here to help! Use the button to email us with any questions you may have, including meeting times and to inquire about adding your name under our "Members" section!